Design Maturity and Human-Centricity. 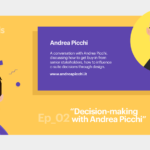 In this interview for the Design Trends Report 2019, administered by youspi Consulting, we talked about the future of UX with regard to design maturity, human-centricity, and education, mentioning the importance of having connections to other disciplines and expanding beyond UX. Youspi Consulting: What does the future of UX look like, and what are possible implications for UX designers? Andrea Picchi: UX is still a relatively young discipline, compared to other fields like architecture and industrial design. This fact manifests itself in two significant ways. On one side, there is not an equal level of craft maturity throughout the field, meaning that the knowledge-base of some people does not cover essential areas of design. On the other side, the educational opportunities available, have significant differences in regards to standard of teaching and contents. 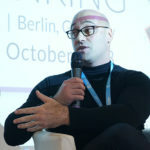 As the UX field will continue to grow, it will become apparent to designers and educational institutes, the need to deeply absorb, master, and blend knowledge and skills from psychology and neuroscience, computer science, and business. These are the foundations, and pre-requisite, of a human-centred problem-solving culture; also known as design thinking. YC: How will this interplay manifest itself? AP: One visible manifestation of this interplay is the use of multidisciplinary teams and the cross-pollination that derive from that. This effect will help the discipline to permeate other areas of the business making more non-designer aware of the value that human-centred design can add to the company. This new configuration will also promote new collaboration opportunity outside the design team itself. Designers will be able to use their mindset and tools to help other departments in solving their specific problems. Designing is the practice of generating value through problem-solving. Marketing and human resources are two typical examples of groups that can benefit from the use of this human-centred practice to solve problems. Teaching non-designers to adopt a human-centred mindset will also increase the design maturity inside the company. YC: What skills will designers need to acquire based on these assertions? AP: As we previously touched, the foundations of human-centred design and the field of UX are psychology and neuroscience, computer science, and business. On top of these pillars, a designer must acquire craft-specific skills. Psychology and neuroscience knowledge give to the designer the essential understanding to frame a problem to solve from a human-first perspective by surface and articulate unspoken needs. Business knowledge provides the sensibility demanded to articulate a sustainable business model around the fulfilment of these needs, and consequently monetize that fulfilment through a proposed solution. Computer science knowledge provides the knowledge necessary to understand and eventually overcome the technical constraints involved in delivering the proposed solution to the problem.